Yeastar NeoGate TG200 is a VoIP GSM gateway with 2 channels providing GSM network connectivity for softswitch and IP PBX. It supports two-way communication: VoIP to GSM and GSM to VoIP. 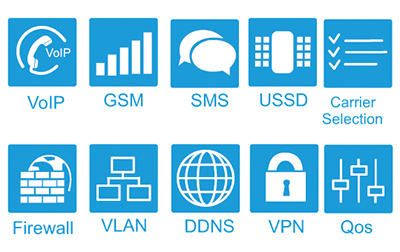 Thus the calls costs could be significantly reduced by VoIP or GSM network.